The deadline for employees to sign up for the 2018 Employee Campaign has been extended to October 31. All employees who commit to the campaign by that date will be entered into a drawing for prizes. More than 60 percent of the goal has been met to date. By now, members of the Foundation and Employee Campaign Committee have visited most of your departments to distribute pledge cards with the various levels of giving and options for contributing explained. Even if the 1% Club does not fit into your budget, please consider a gift of any amount. The Excellence Fund, General Scholarship Fund, Student Emergency Fund and Fresh Start Scholarships are significantly funded through individuals contributing to the Employee Campaign. The campaign is a vital part of these funds ability to assist students – in some cases, one small contribution at a time. Are you at a loss in deciding which fund to choose? That is understandable, since each is worthy of your contribution. The Excellence Fund is the area of the greatest need. The General Scholarship Fund helps remove barriers for those students facing a hardship in meeting their tuition and textbook fees. The Fresh Start Scholarship helps students start over in college after a sometimes rocky start, and the Student Emergency Fund does just what its name implies. With more than 600 scholarships, the Foundation is sure to have a scholarship to fit your interests. Just give us a call, and we can help you decide. Whichever fund you choose, know that your contributions are appreciated at any level. 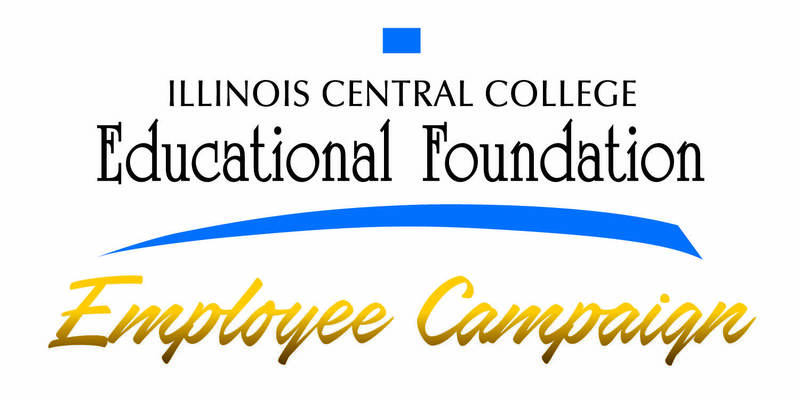 Gifts to the annual Employee Campaign have made the difference in thousands of lives at ICC. John is one such student who found himself experiencing an emergent need when his apartment caught fire. Unfortunately, John lost his textbooks in the fire and was in need of replacing them. The Foundation was able to replace those books lost in order to assist John in successfully completing his semester at ICC. John was so touched by this gift that he returned to the Foundation offices following the end of the semester. He expressed that it was his wish to ensure another student’s life could be touched by the efforts of the Educational Foundation. John hoped that, by returning those textbooks given so generously to him, the Foundation could benefit from returning them through ICC’s book buy back program. It was his hope that another student could be positively impacted by these additional funds, as he had been given the gift to succeed. Our hope is that, as students’ lives are positively impacted, their successes will ultimately contribute to another generation in this community. Your support of the ICC Educational Foundation is a vital investment in the future of our students and community. For questions, please contact the Educational Foundation at Ext. 5530.